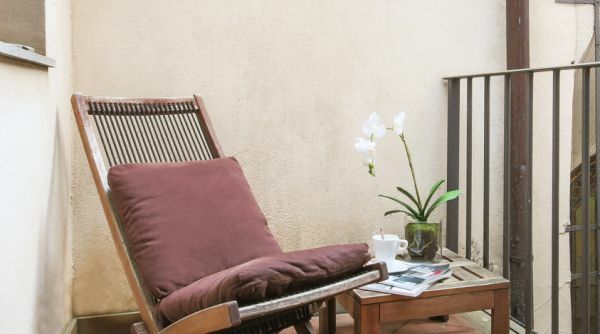 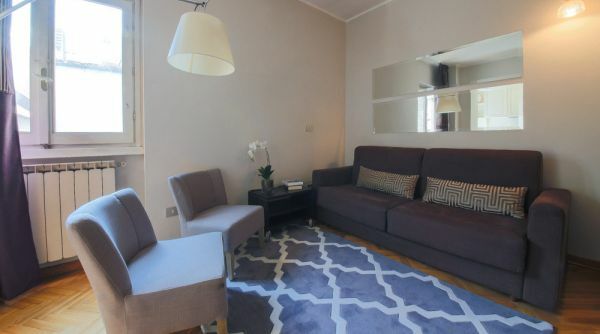 Apartment in Via Torta - Piazza Santa Croce in Florence. 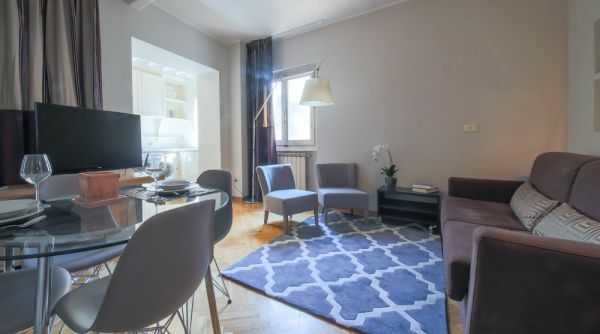 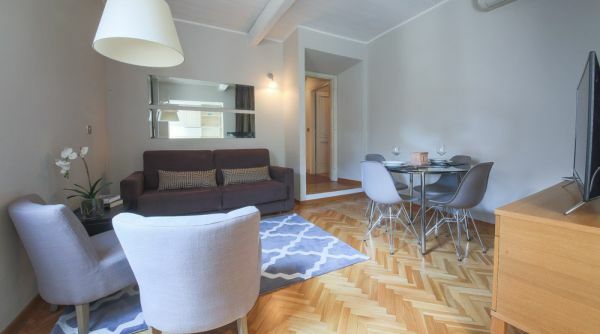 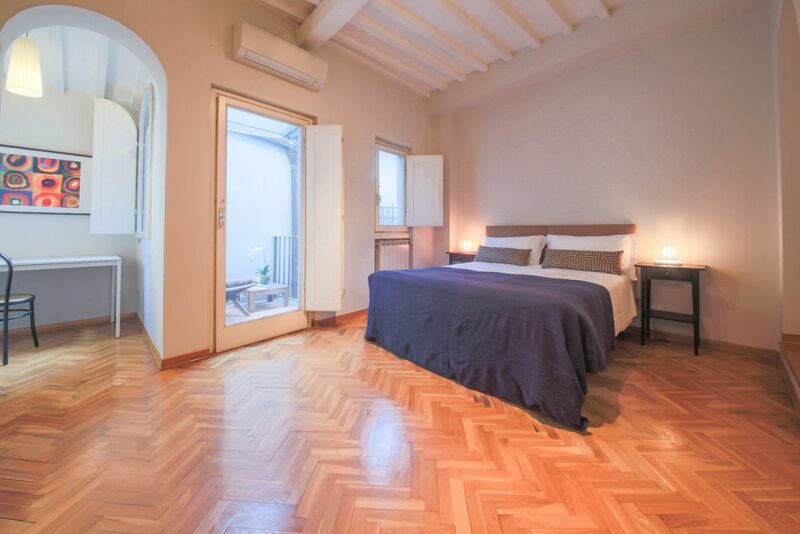 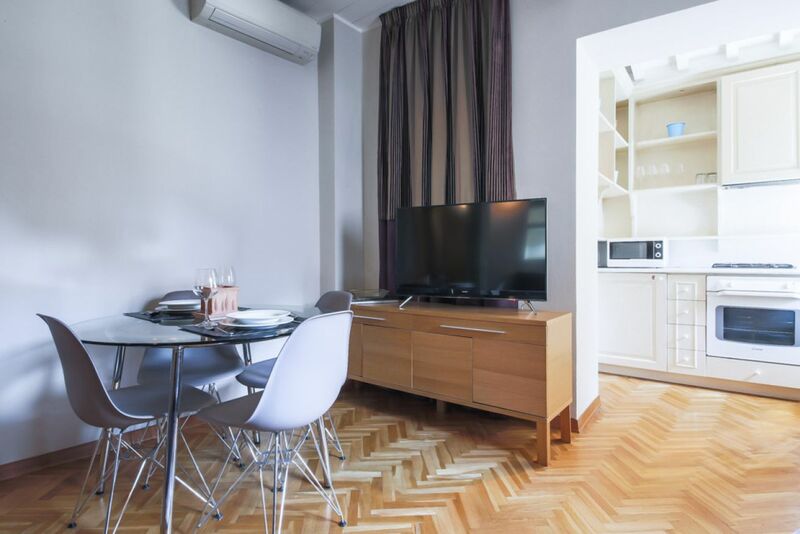 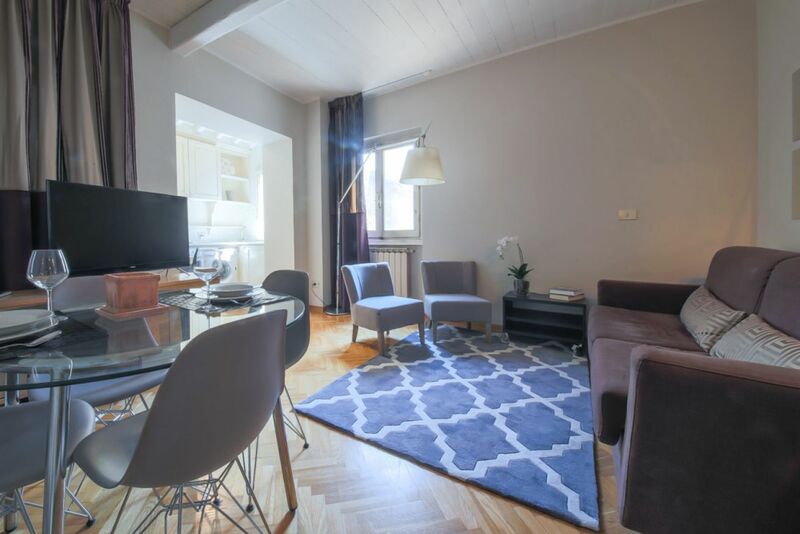 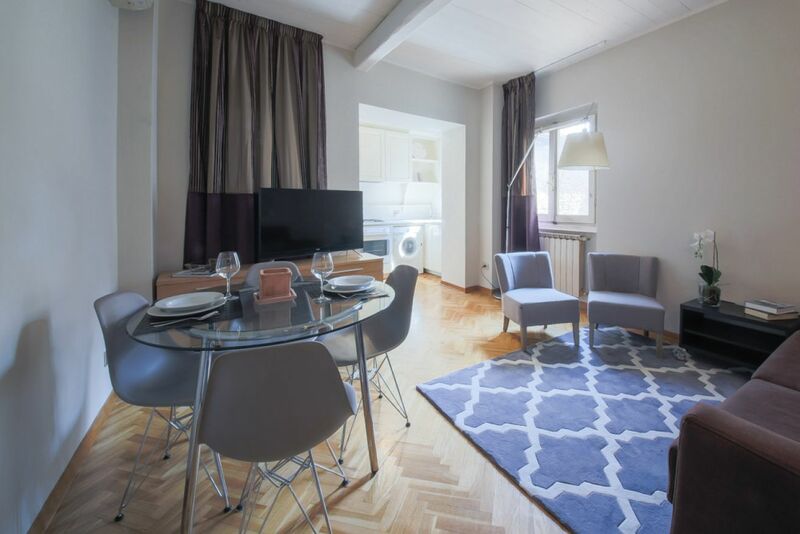 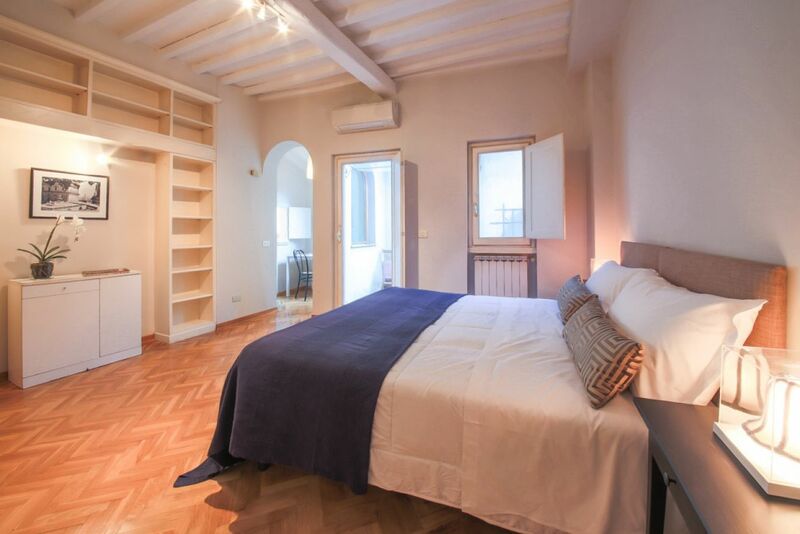 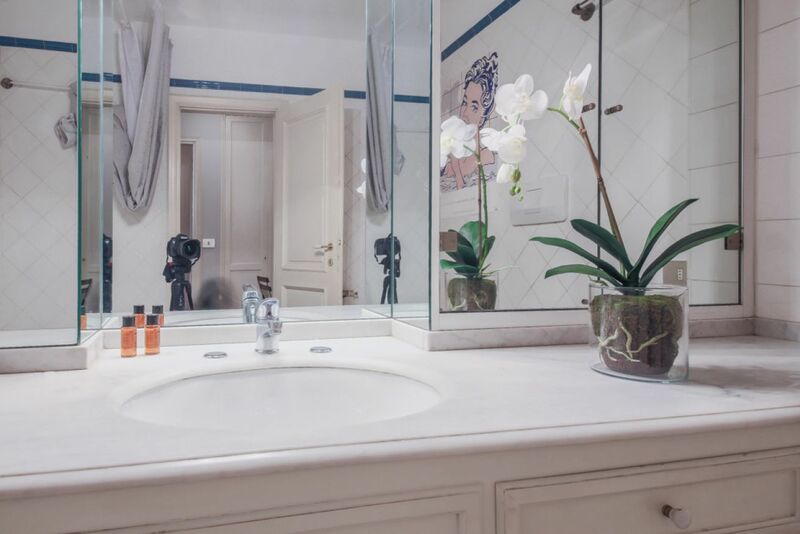 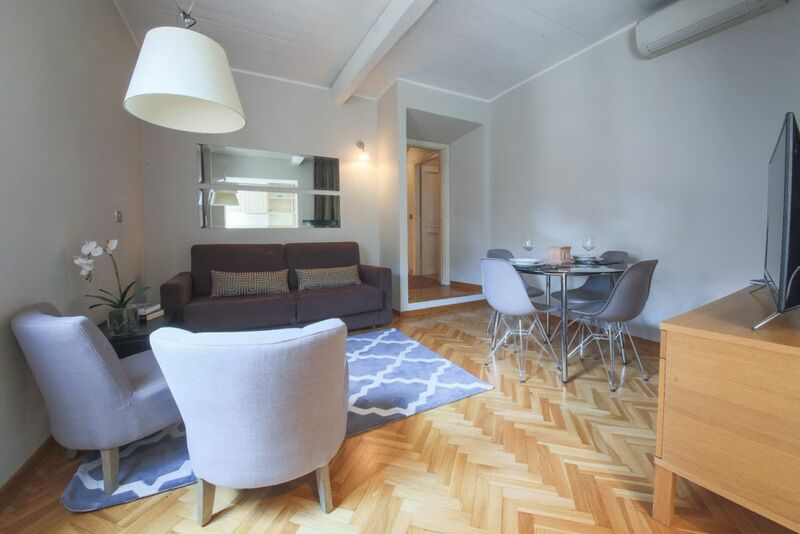 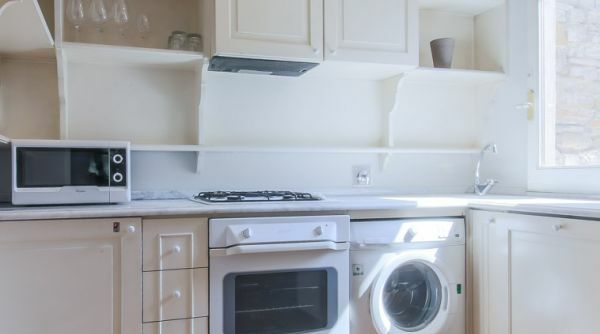 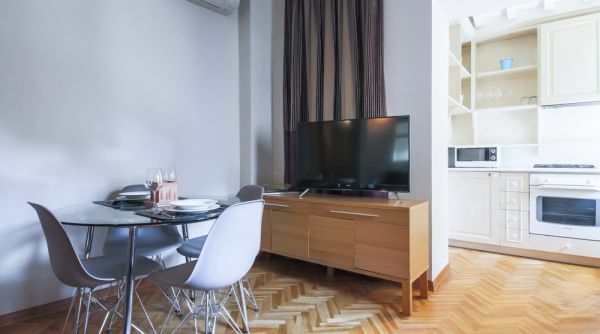 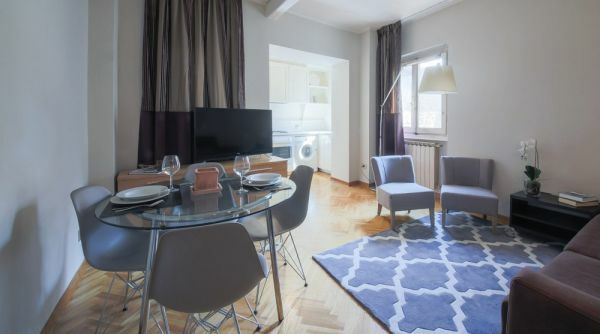 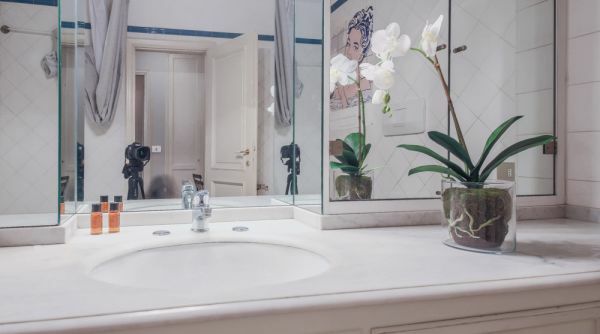 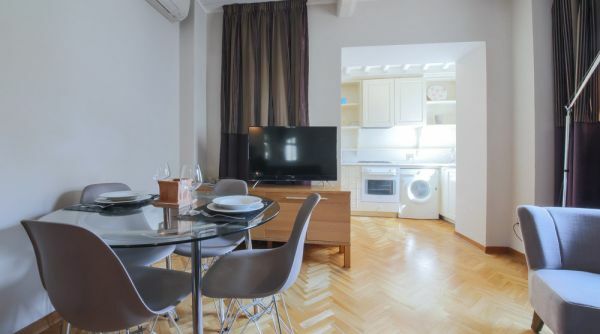 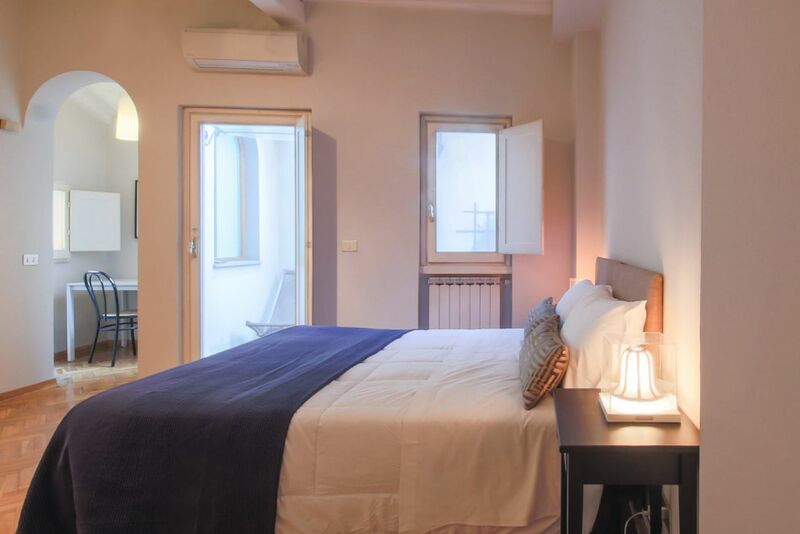 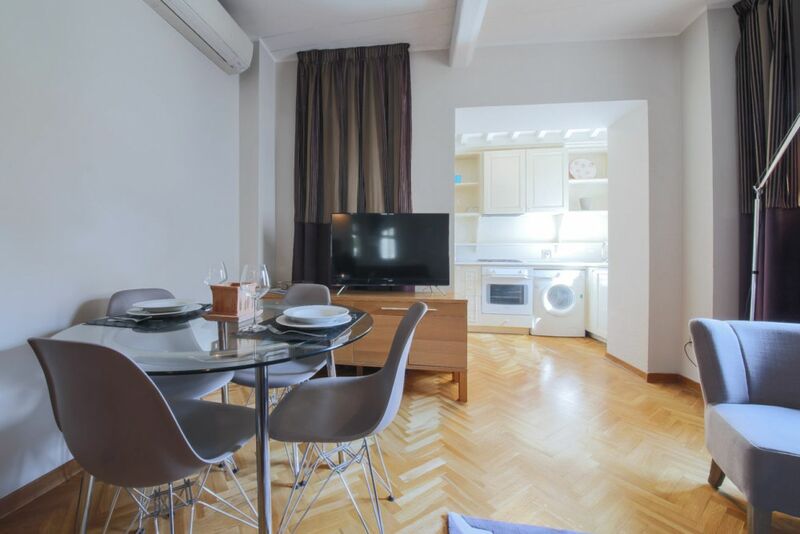 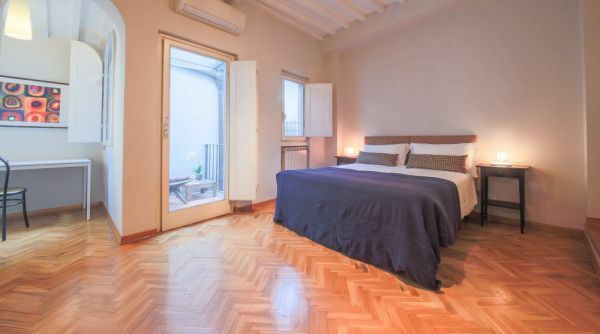 The apartment is located in Via Torta, just across from the beautiful Santa Croce church and located next to the famous Vivoli Ice Cream maker. 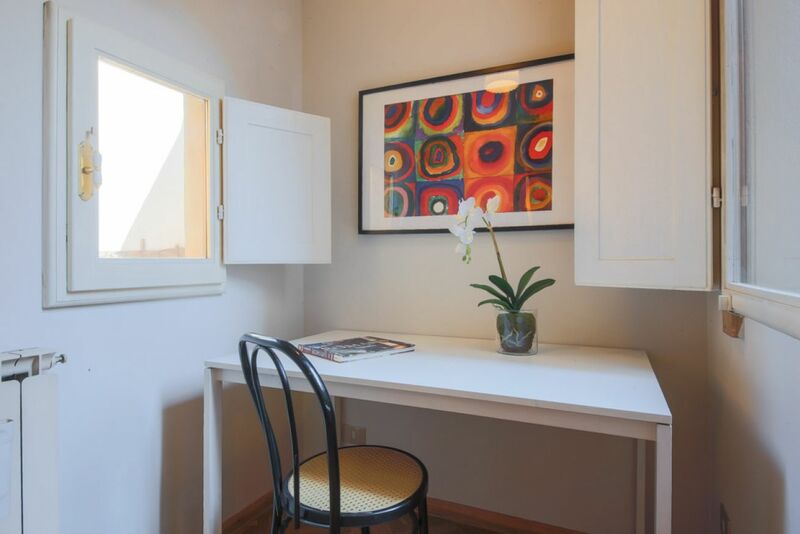 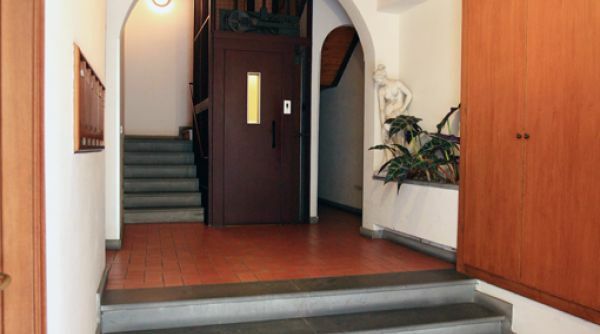 The location is perfectly situated by the Bargello Museum, Piazza Signoria and more. 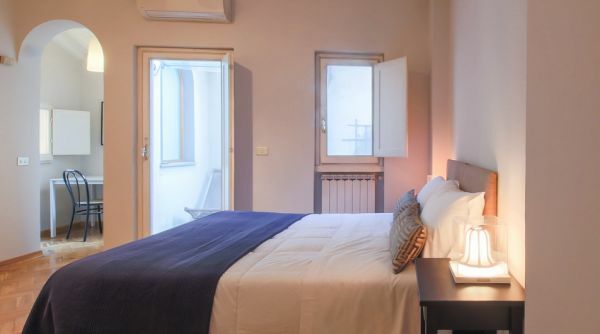 It only takes a few minutes to walk to the Duomo and Ponte Vecchio, not to mention wonderful shops and restaurants. 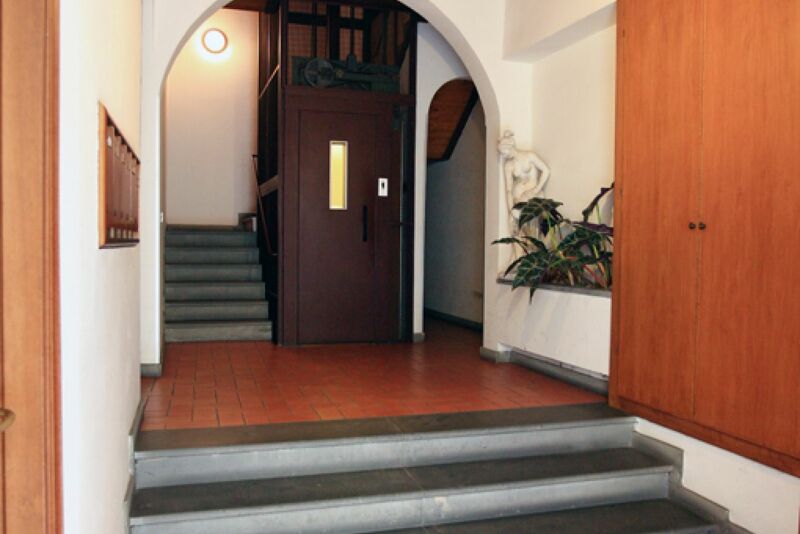 The apartment is on the third floor of a beautiful building with an elevator. 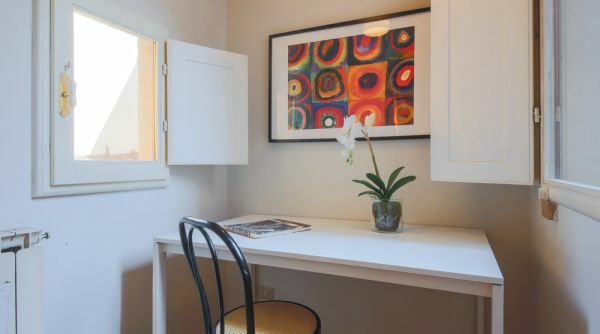 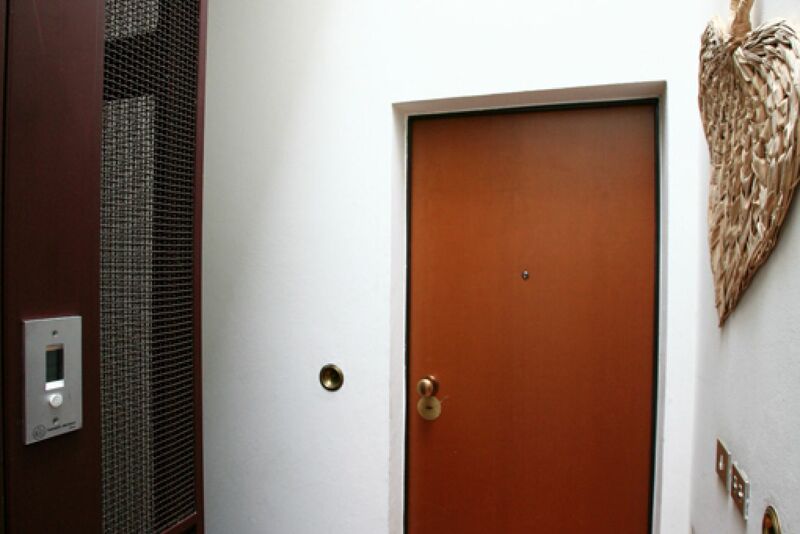 It has a warm and welcoming style after it was renovated and redecorated in March of 2010. 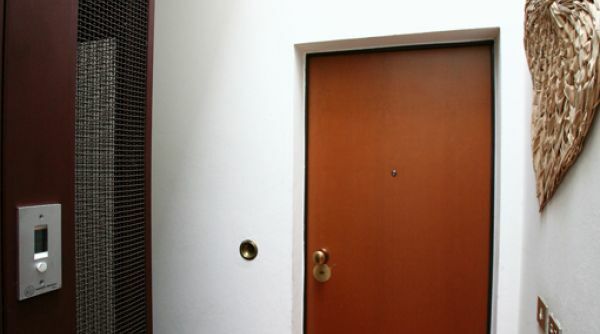 The entryway connects the three main rooms of the home. 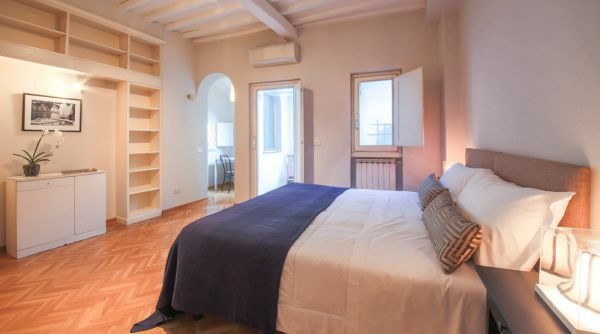 There is a large bedroom with a king-size bed, large wardrobes and a large table for writing, work or study. 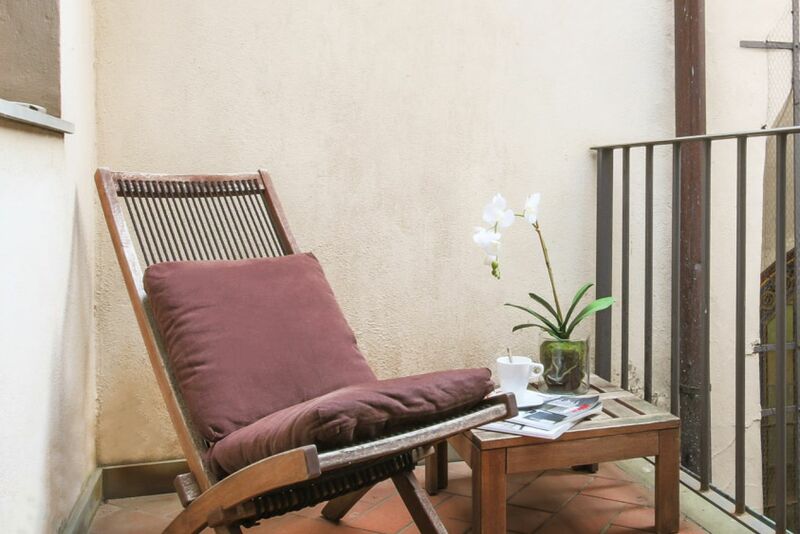 There is also a cute terrace. 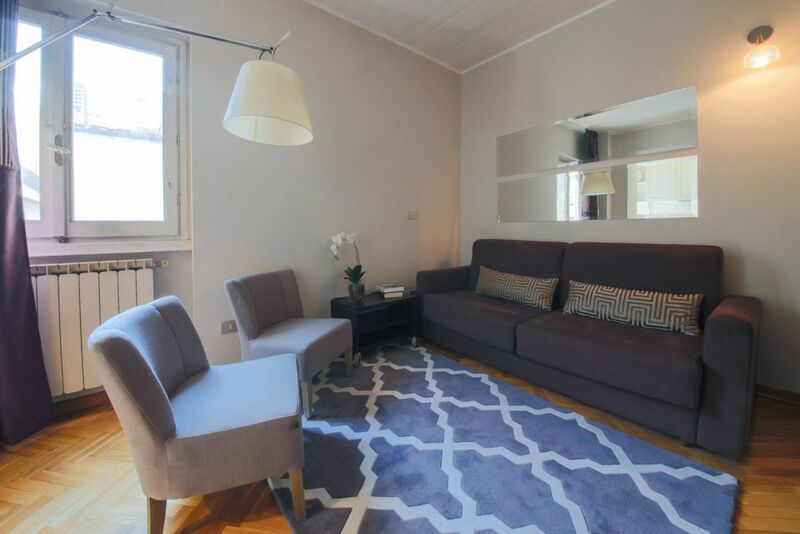 Additionally there is a bright living room with a double sofa bed and separate dining area. 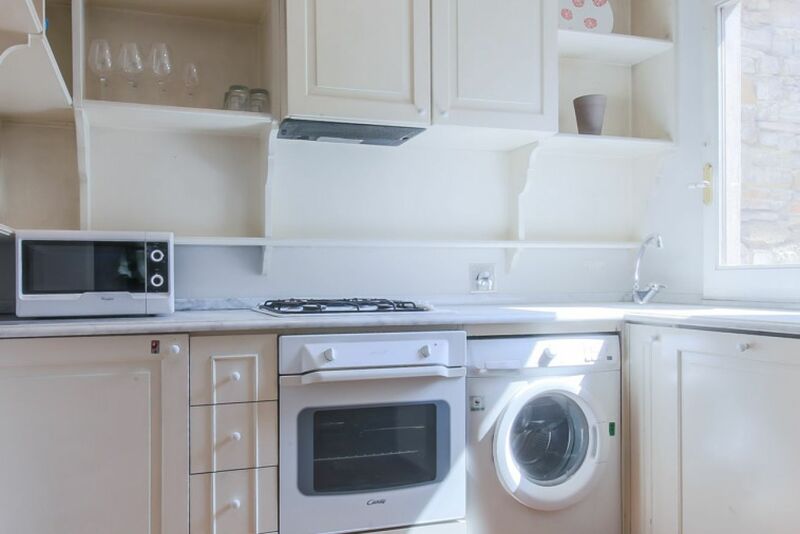 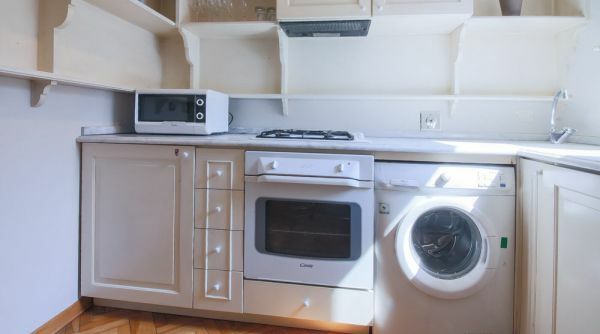 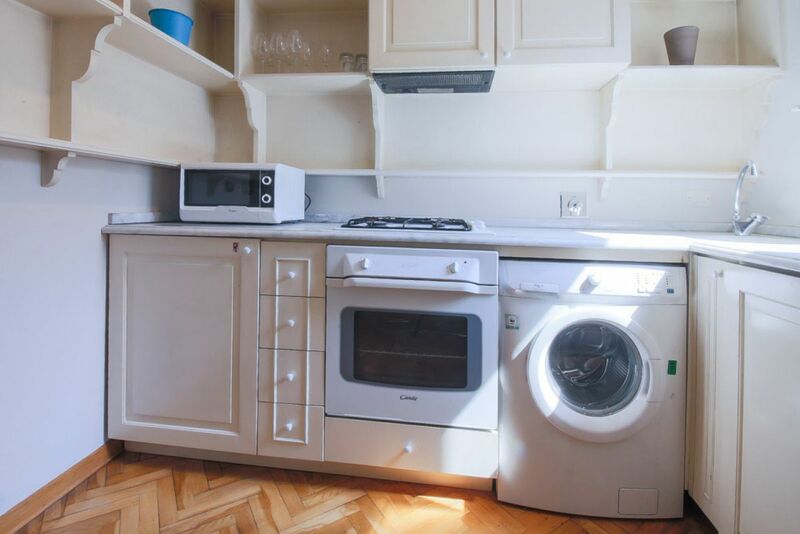 The Italian-designed kitchen is fully equipped to make you feel at home. 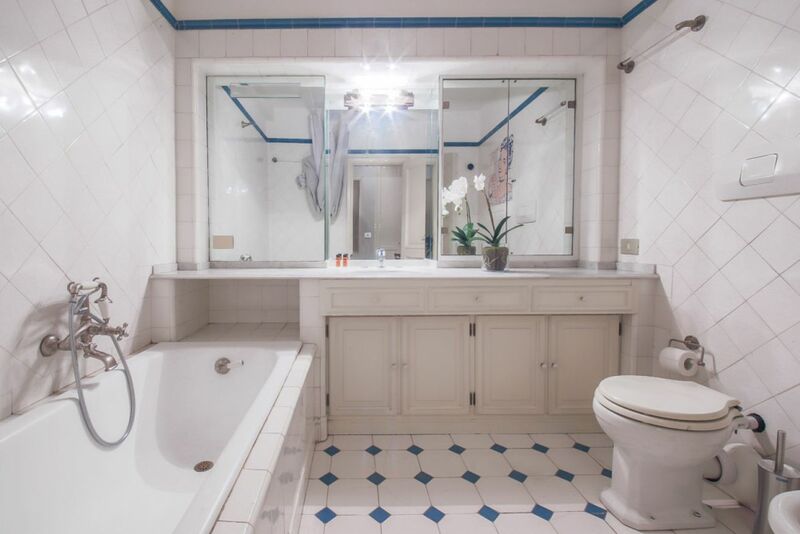 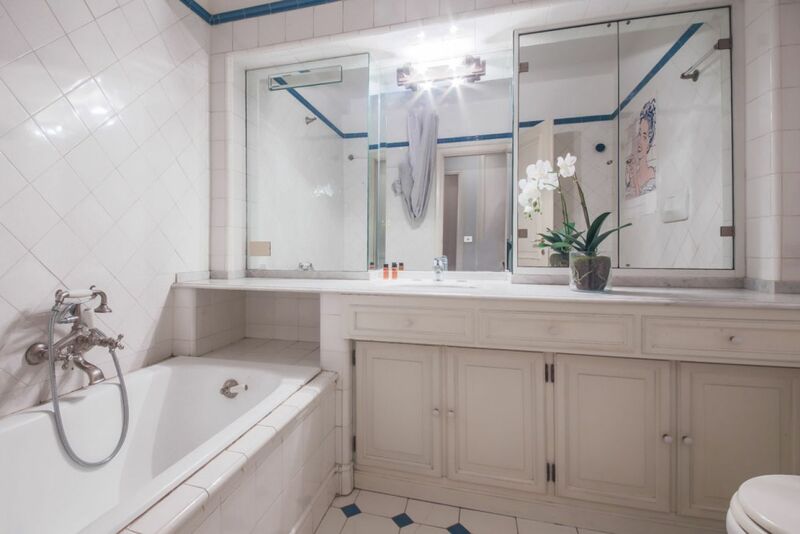 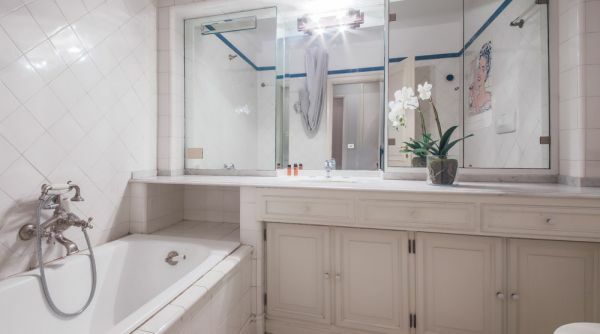 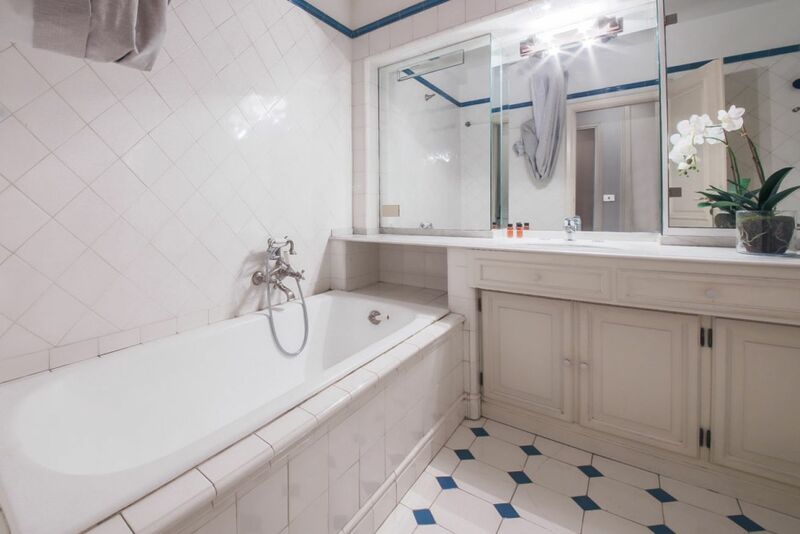 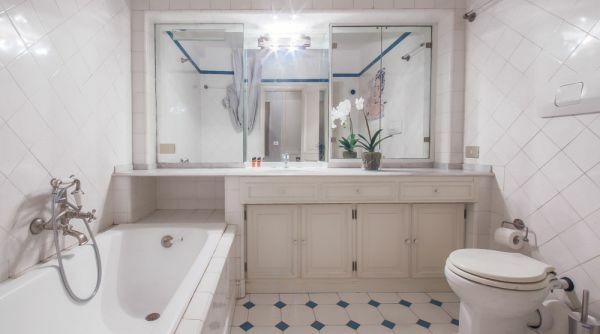 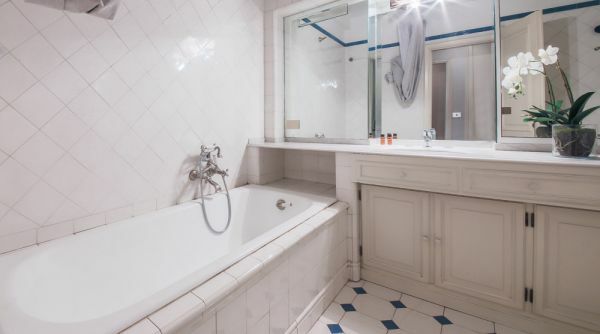 The bathroom is large and includes storage and a bathtub.